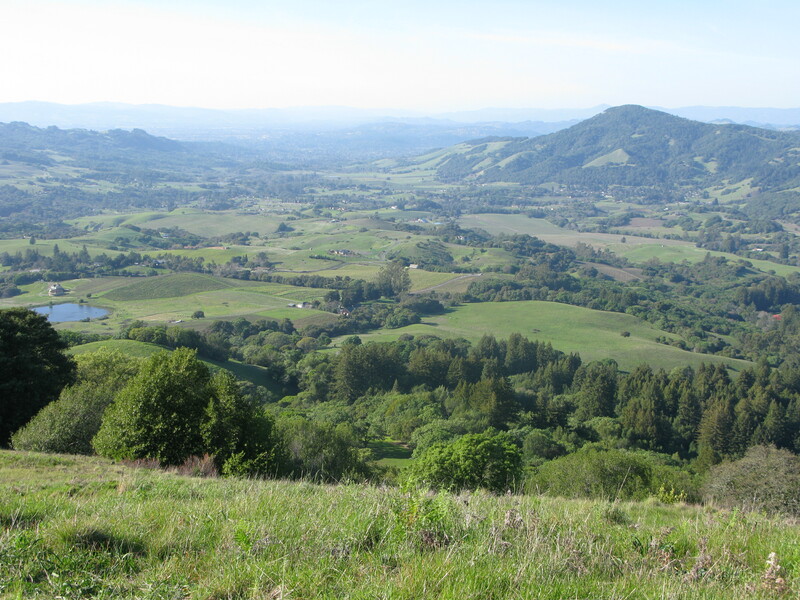 Rising 2,463 feet above Sonoma Valley, just 108 feet less than Mount Tamalpais, Sonoma Mountain is a major geographical feature of south Sonoma County. 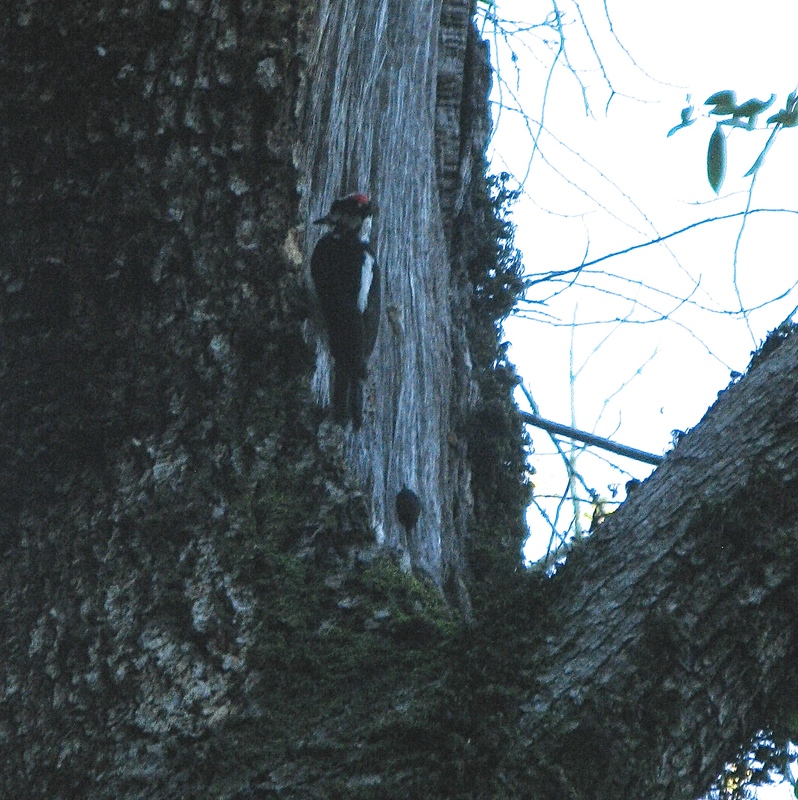 Contrary to expectations, its dry, eastern slopes are lush and covered with diverse woodlands, while the foggy western flank is a series of bare rolling hills, dotted with pockets of oaks trees in its crevasses. A friend suggests our local history of agricultural land use might be responsible for the difference. 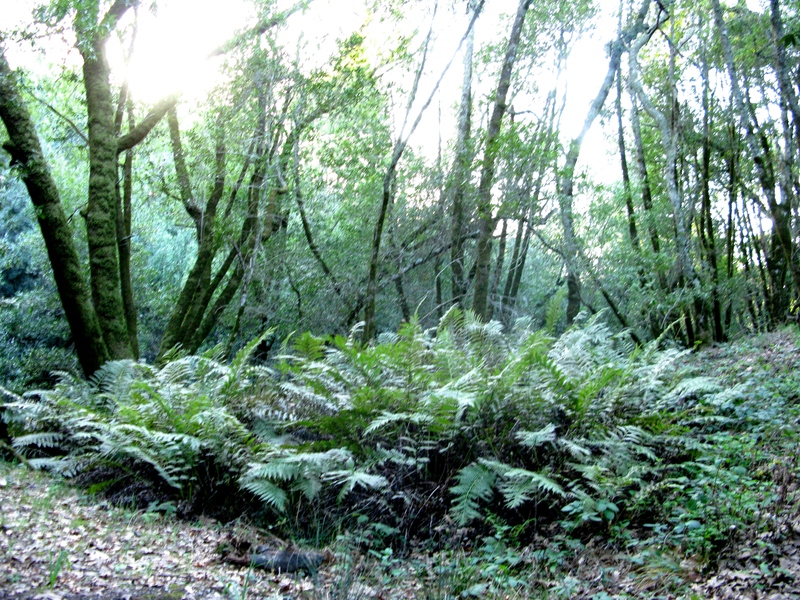 The summit is still closed to the public, but you can access a good part of the mountain from two points: Jack London Park in Glen Ellen, and the North Sonoma Mountain Regional Park above Bennett Valley just south of Santa Rosa. 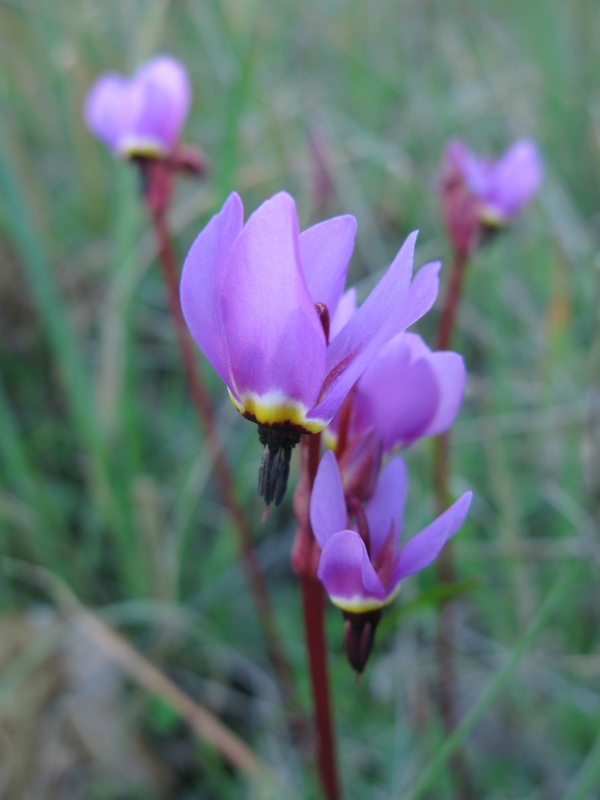 and Dodecatheon hendersonii, with more straight-forward nicknames- mosquito bills and shooting stars. Continue up the trail and Bennett Mountain soon comes into view. Mount St. Helena is visible in the background. 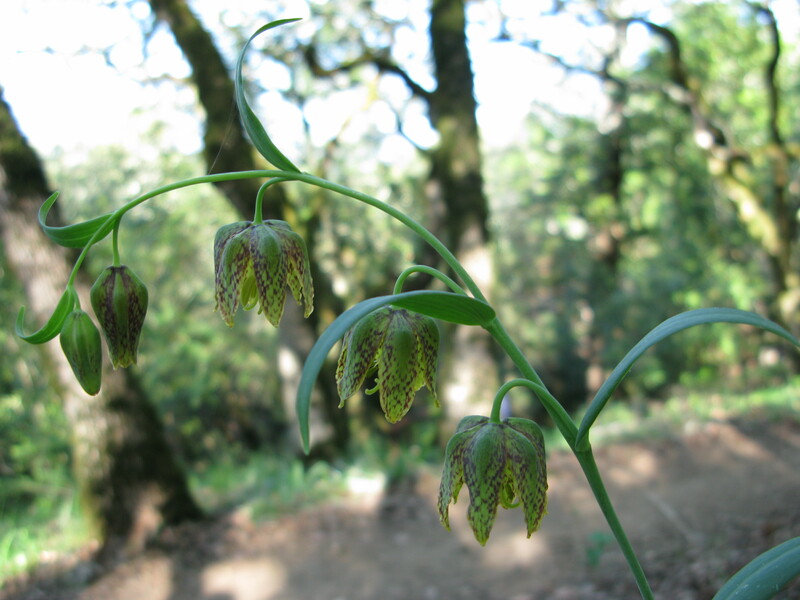 Meanwhile, blooming in the mottled light of the forest floor, fritillaries (Fritillaria affinis) were the flower of the day when I made this hike early in March. 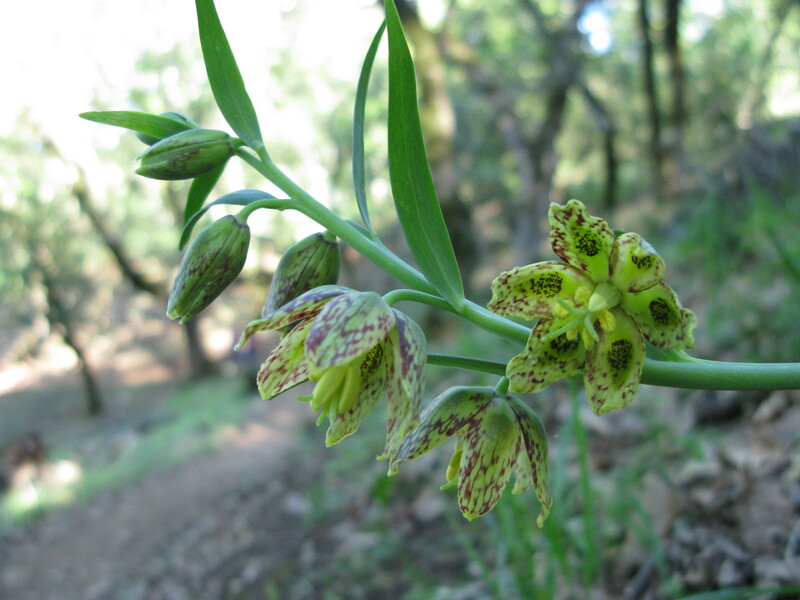 These are sometimes called checker lilies for their pixelated-looking patterns. 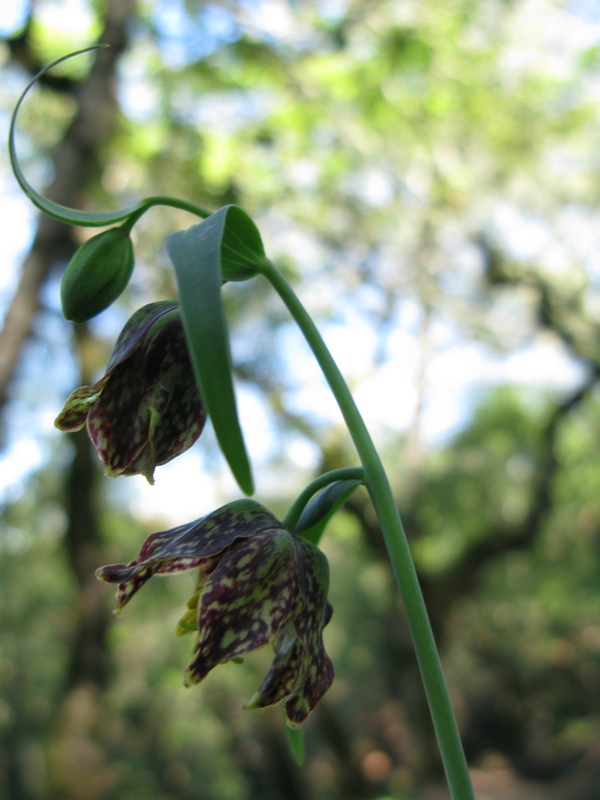 Their variations in color (mottled browns, maroons, yellows and greens) and their charming, nodding bell shape make them worthy of more than a casual glance. 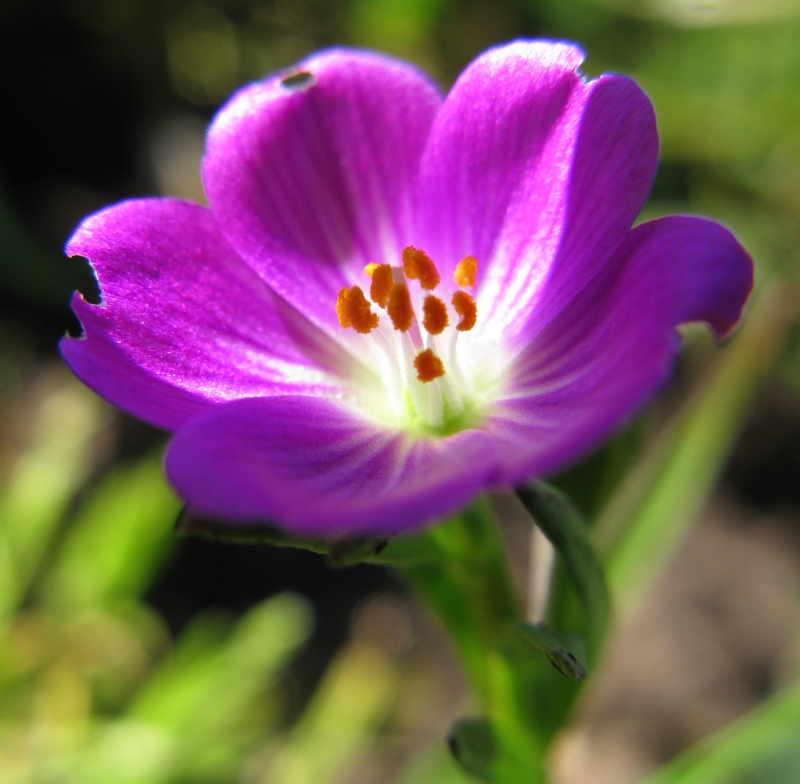 These scarlet larkspur (Delphinium nudicaule) looked like goldfish swimming in the woods. 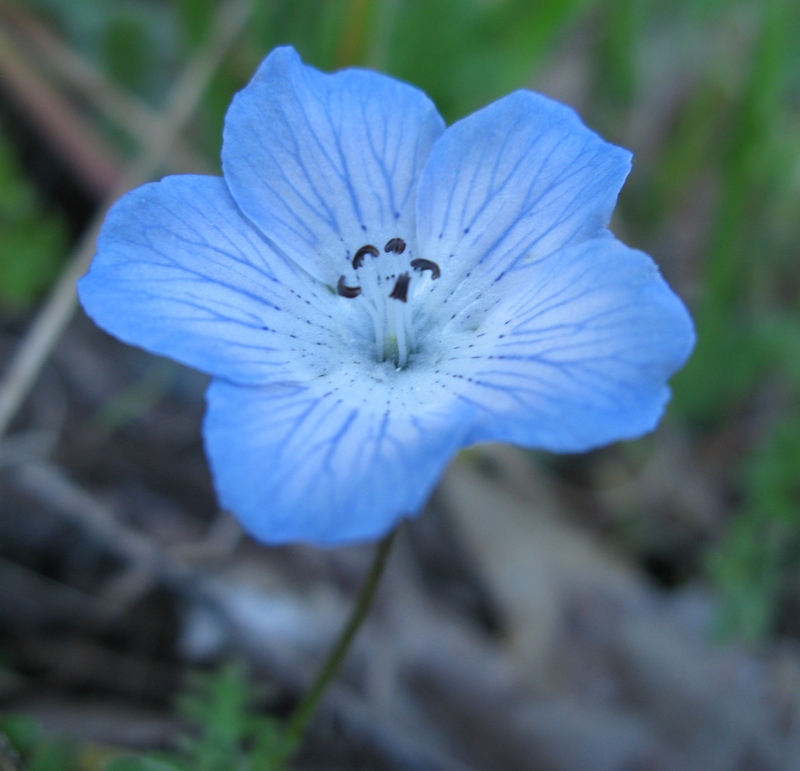 Above the wooded slopes there were wet meadows again and here were Nemophila menziesii, Baby blue eyes. 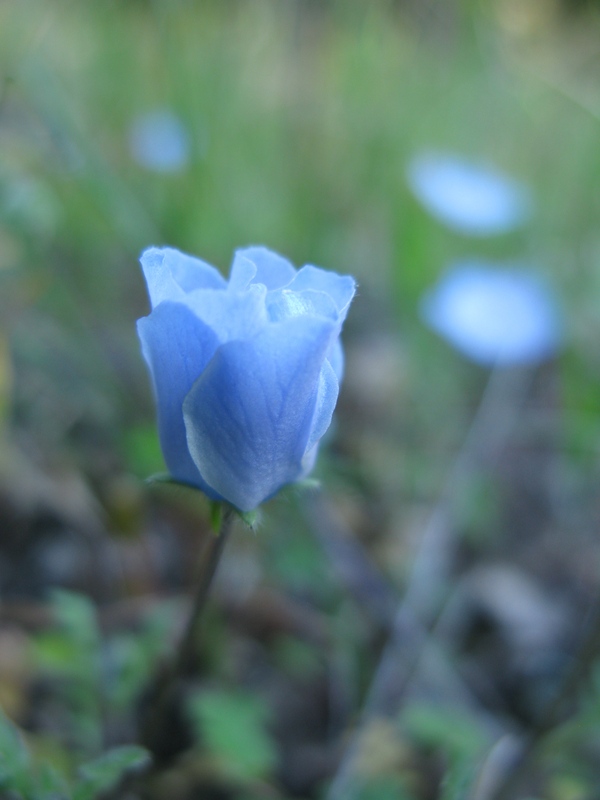 The first photo was taken in full sun on the hike up, but as the light dwindles they close their petals, resembling a small blue rose. 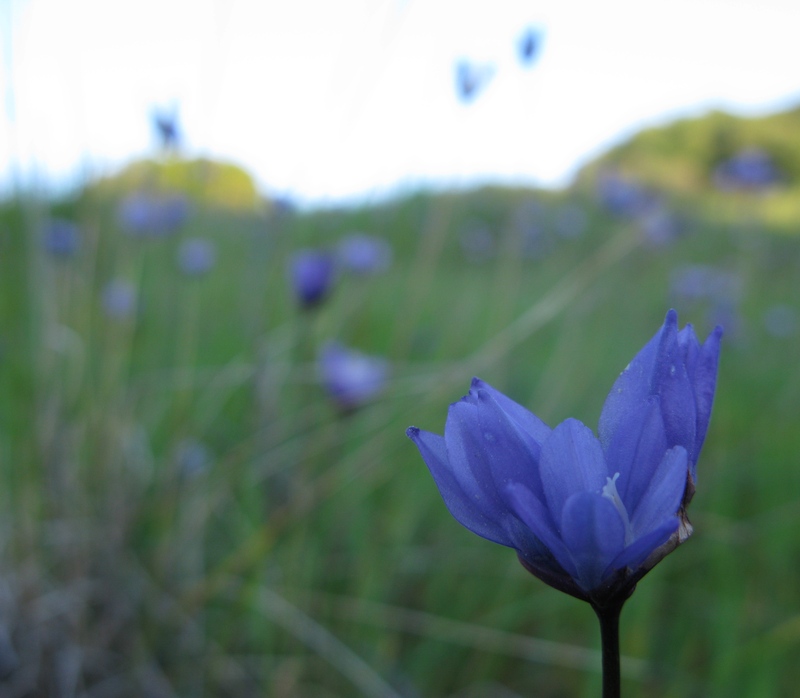 At the lookout point (1740′ elevation), just under two miles from the trailhead, there is a panoramic view which sweeps from the malls in south Santa Rosa to Hood Mountain on the west side of the Mayacamas. Here, looking northwest is Bennett Valley nestled between Taylor and Bennett Mountains. 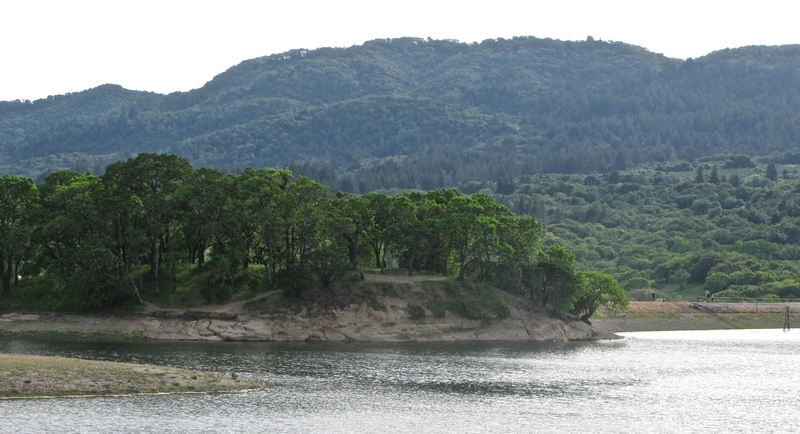 Annadel State Park is just over the ridge to the right. 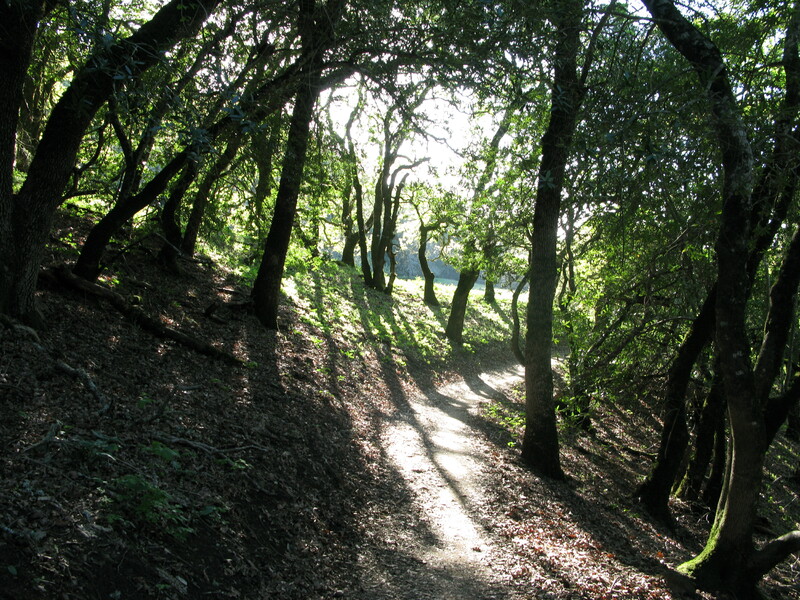 From here, hikers can continue on for six more miles to the border of Jack London State Park. 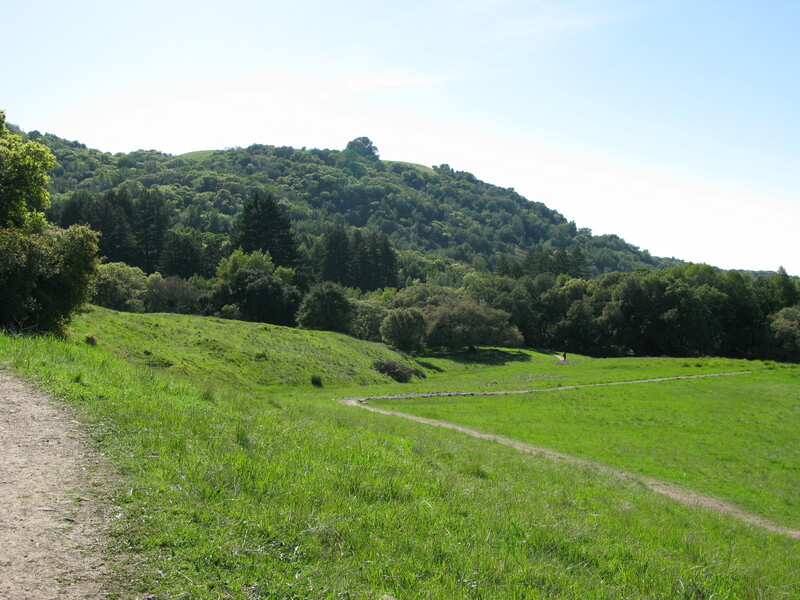 According to the map provided by the Regional Parks, an extension up to the true summit of Sonoma Mountain is in the planning stages. At 700 vertical feet farther up from the lookout point, I hope it is acquired while I’m still able to make the climb.